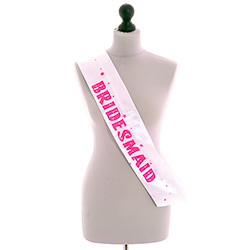 You tend to find that most of the accessories created for hen nights focus totally on the hen, not this little number. The bridesmaids are also an incredibly important part of the celebrations so it's only fair that they get their very own bridesmaid sash too. 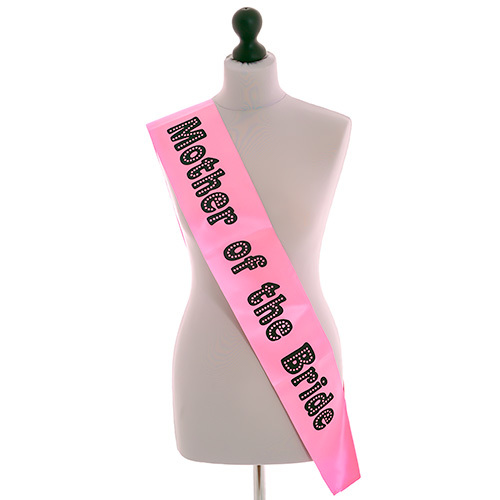 These white and pink sashes for bridesmaids are a perfect way to make your mark on the party. 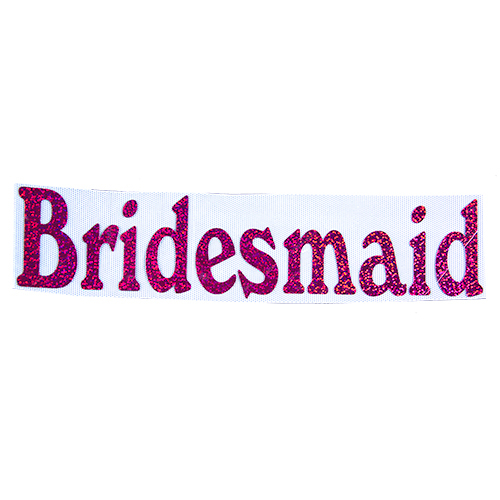 The bold writing and the white material makes them stand out so that everybody knows exactly who are the important people in the group. "I was very proud to wear these - bit slippery on the shoulder, but used in conjunction with the badges they were great!" "The one I got didn't sit as well as the bride to be one but it did the job." 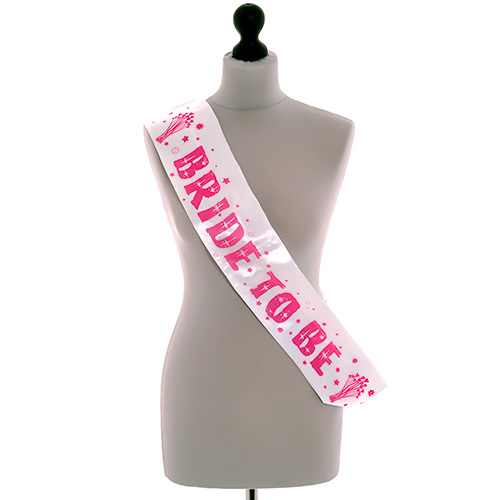 "The girls were very pleased with their sashes. 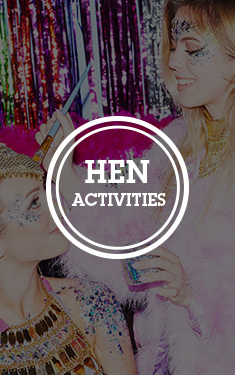 Good quality nicely printed." 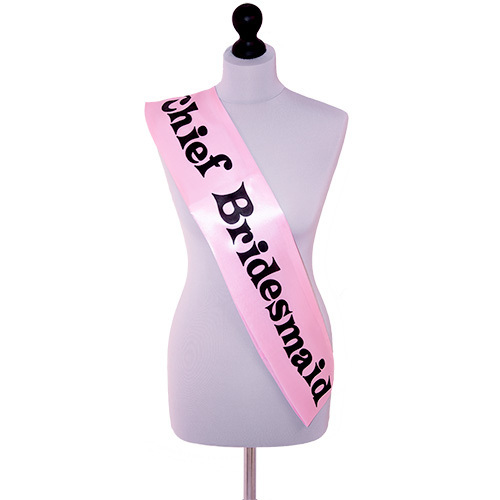 "All the sashes are of a good quality considering how cheap they are." 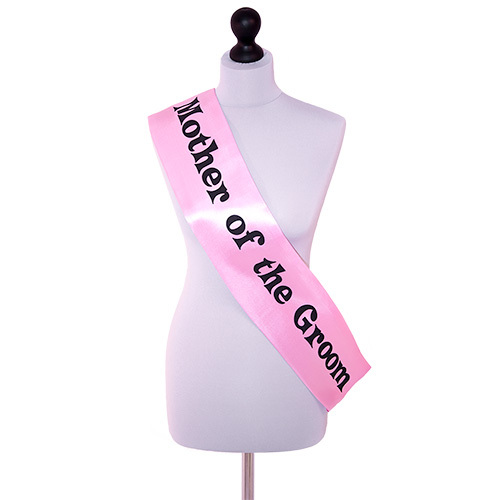 "The bridesmaid was delighted with her sash really nice design and the fabric also."